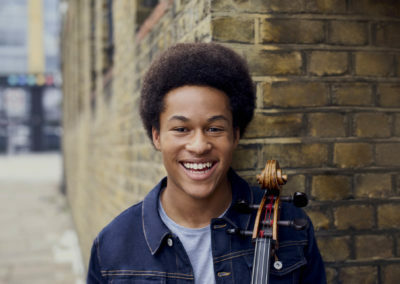 Sheku Kanneh-Mason, one of the brightest young stars on the classical music scene, became a household name worldwide in May 2018 after performing at the Wedding of the Duke and Duchess of Sussex at Windsor Castle. His performance was greeted with universal excitement after being watched by nearly two billion people globally. The winner of the 2016 BBC Young Musician competition, Sheku is already in great demand from major orchestras and concert halls worldwide. In January 2018, his debut recording for Decca Classics, Inspiration, was released, featuring the Shostakovich Cello Concerto No. 1 with the City of Birmingham Symphony Orchestra and Mirga Gražinytė-Tyla. 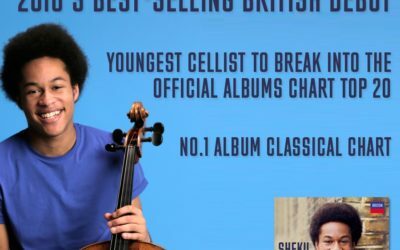 The phenomenal success of the album propelled Sheku to a debut spot at number 18 in the Official UK Album charts, and number 1 in the Classical chart. Alongside short works by Shostakovich, Offenbach, Casals, and Saint-Saëns, Sheku’s own arrangement of Bob Marley’s No Woman No Cry was also featured on the album, and went viral on social media, clocking 1 million streams in its first month on Spotify alone. In June 2018, Sheku received the Male Artist of the Year and the Critics’ Choice awards at the re-launched Classic BRIT Awards, and in July 2018 became the first artist to receive the new BRIT Certified Breakthrough Award, having sold over 30,000 copies of his debut album in the UK and surpassing 100,000 album sales worldwide. 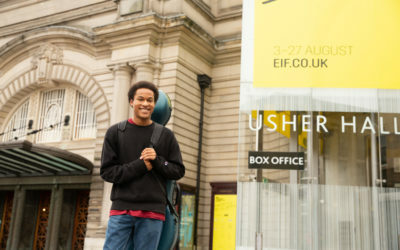 Sheku has already performed with a number of the major UK orchestras and makes debuts in the 18/19 and 19/20 seasons with the Seattle Symphony, the Orchestre Philharmonique de Radio France, Netherlands Chamber Orchestra at the Concertgebouw, the Atlanta Symphony, London Philharmonic, Frankfurt Radio Symphony, Baltimore Symphony, and the Los Angeles Chamber Orchestra. 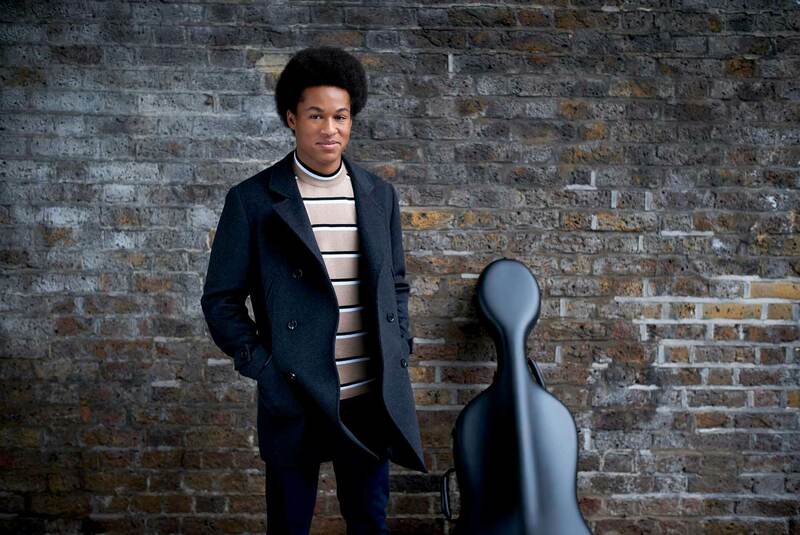 He will also return to the BBC Symphony Orchestra to perform the Elgar Concerto in his hometown of Nottingham and makes his debut at the Vienna Musikverein with the Japan Philharmonic. 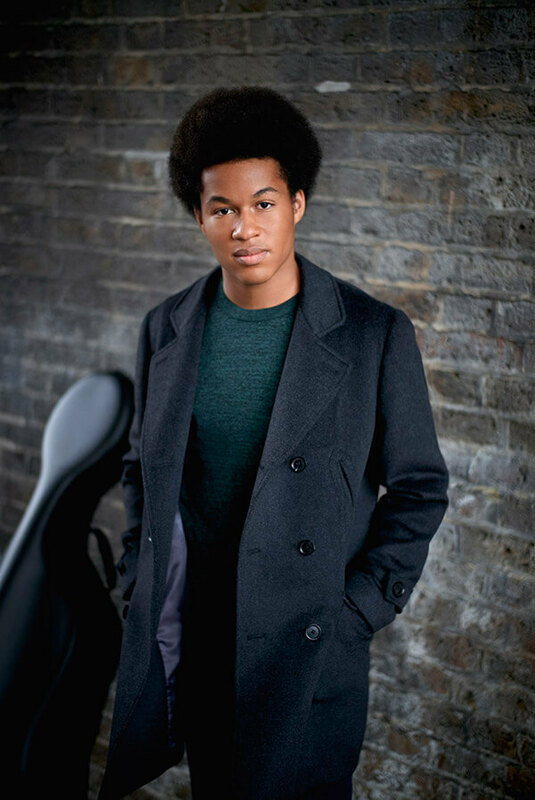 Recital performances in 18/19 and 19/20 include debuts at the Barbican Centre’s Milton Court, Wigmore Hall, Zurich Tonhalle, Lucerne Festival, as well as a major tour of North America to include concerts in Boston, Los Angeles, Berkeley, Ann Arbor, Minnesota and Sheku’s recital debut at Carnegie Hall New York. 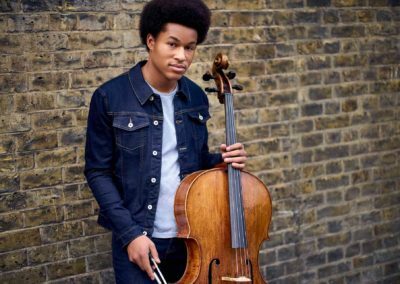 In 2017, Sheku made his BBC Proms debut at the Royal Albert Hall as soloist with the Chineke! 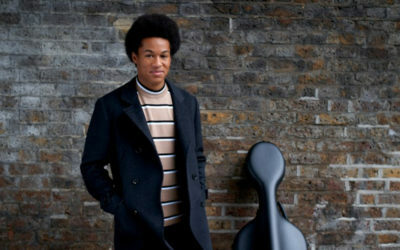 Orchestra, an ensemble with which he enjoys a special relationship, having taken part in their debut concert at the Royal Festival Hall in 2015 and returning as soloist to perform the Haydn Concerto in September 2016. 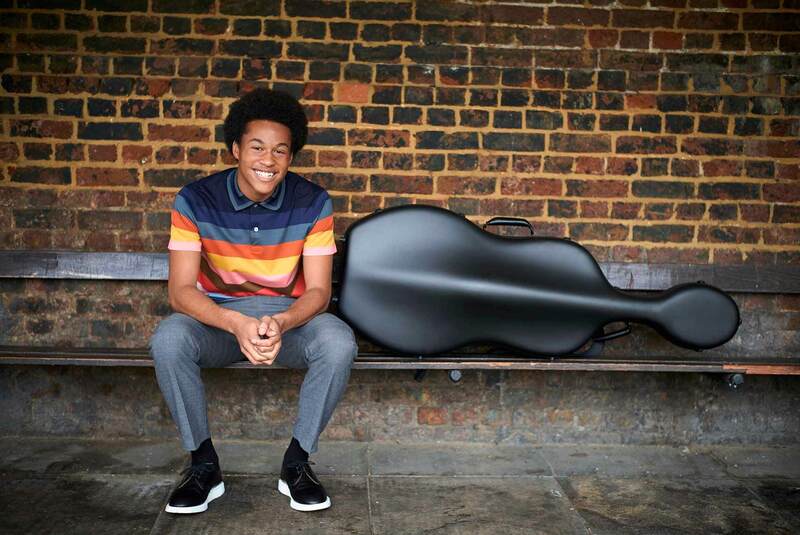 He is passionate about the importance of making classical music accessible to all and is currently the first London Music Masters Junior Ambassador. 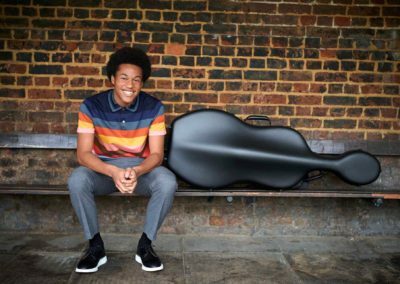 In 2018/19, he will become ‘Young Artist in Residence’ at the Royal Liverpool Philharmonic where he will take on a role in the orchestra’s education programme as well as performing in Liverpool a number of times across the season. In February 2018, Sheku performed ‘Evening of Roses’ at the BAFTAS Awards show at the Royal Albert Hall. He was joined on stage by four of his six siblings, all of whom perform classical music to an exceptional standard. This was the first time any artist has been invited to perform during the ceremony two years running and followed his memorable performance of Leonard Cohen’s ‘Hallelujah’ at the 2017 BAFTAs, the subsequent recording going viral on YouTube. In 2017. Sheku was awarded the South Bank Sky Arts Breakthrough Award, given by the judges to the most promising young Artist across all genres, following recent winners Billie Piper and Stormzy. He has performed alongside Hollywood A-listers in ‘The Children’s Monologues’ directed by Danny Boyle at Carnegie Hall New York and has played at No. 10 Downing Street in front of an illustrious guest list for Black History Month. 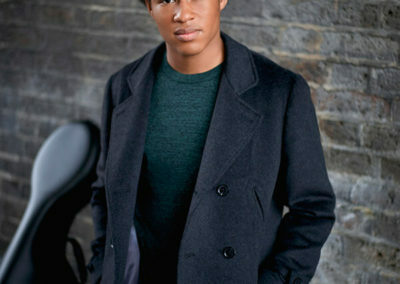 Sheku is currently a full-time ABRSM Scholarship student at the Royal Academy of Music, studying with Hannah Roberts. 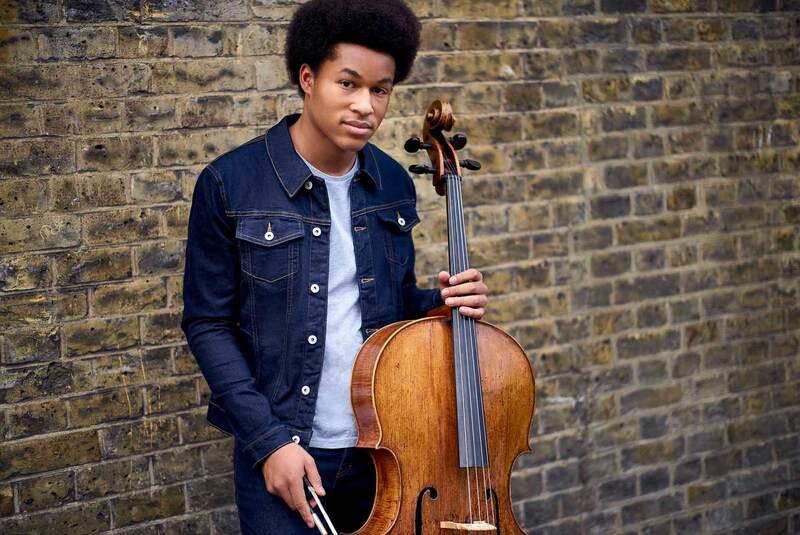 He began learning the cello at the age of six with Sarah Huson-Whyte and then studied with Ben Davies at the Junior Department of the Royal Academy of Music where he held the ABRSM Junior Scholarship. He has received masterclass tuition from Guy Johnston, Robert Max, Alexander Baillie, Steven Doane, Rafael Wallfisch, Jo Cole, Melissa Phelps and Julian Lloyd Webber and in July 2017, participated in the Verbier Festival Academy in masterclasses with Frans Helmerson and Miklos Perenyi. 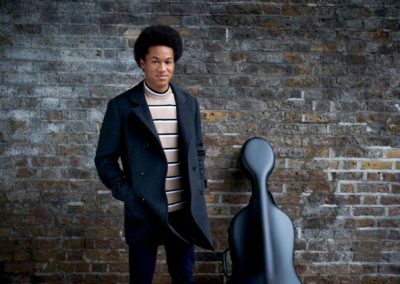 A keen chamber musician, Sheku performs with his sister, Isata and brother, Braimah, as a member of the Kanneh-Mason Trio. He plays an Antonius and Hieronymus Amati cello c.1610, kindly on loan from a private collection.